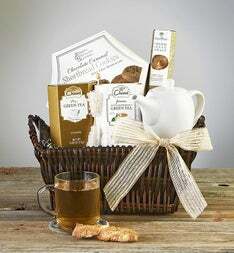 The British ritual of afternoon tea was introduced in 1840 by Anna, Duchess of Bedford to the delight of tea lovers everywhere. 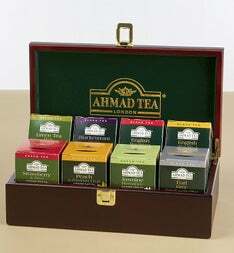 Ahmad of London, a 4th generation purveyor of the finest British teas, carries on this tradition with this exquisite collection of nine different premium black, green, and fruit black teas. 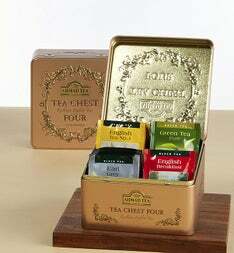 This gift box includes Earl Grey, English Tea No.1, English Breakfast, Jasmine Romance, Green Tea Pure, Mint Mystique, Peach & Passion Fruit, Strawberry Sensation and Lemon & Lime Twist. 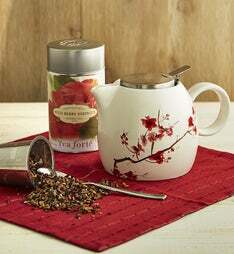 Enjoy five tea bags of each blend - 45 tea bags total. 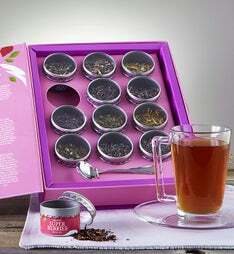 Each tea bag is individually wrapped in a foil envelope for optimum freshness.